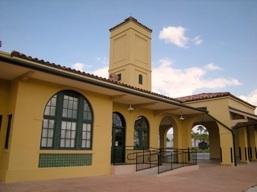 The Historic Venice Train Depot (303 E. Venice Ave., Venice FL 34285), built in 1927 and renovated in 2002-2003, was central to the founding and development of Venice, Florida. Volunteer docents from VAHS provide free public tours of the Depot and surrounding campus. 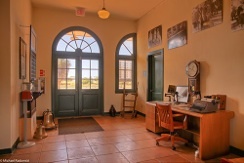 Panel displays and artifacts in the Depot's two waiting rooms illustrate key events in Venice's history and the history of the Depot itself. For more information about the history of the Depot and its role in the history of Venice, click Train Depot Brochure. November through April on Monday, Wednesday, and Friday from 10 AM to 3 PM, with the last docent-led tour beginning at 2:30. Tours start in the main waiting room. The length of tours can be tailored to your needs. In addition to docent-led tours, self-guided tours are an option. 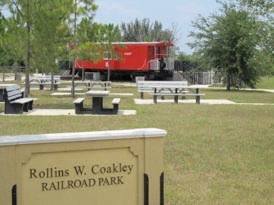 Both the Depot and the caboose are accessible facilities. The caboose is open on Wednesdays and Saturdays from 10 AM to 1 PM. Donations are appreciated to help defray expenses. If you plan to bring a group of 10 or more people to the Depot, please call 941-412-0151 or e-mail depot@veniceareahistoricalsociety.org to make special arrangements so that your group can be adequately accommodated. For Depot rentals, contact Sarasota County at vcc@scgov.net or call 941-861-1380. 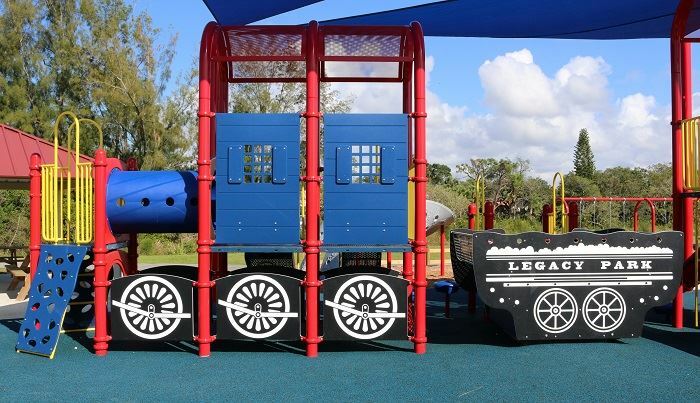 *The Depot is owned by Sarasota County, and county staff handle rentals. Please call 941-861-1380 for pricing information and to make reservations. **To reserve a picnic shelter for a birthday party or other event, call the Sarasota County Contact Center at 941-861-5000.